Today’s a non-work day for me but, after reviewing resource-centric social media sites as part of my Moodle work yesterday, I rediscovered the joy of StumbleUpon. That took me to lots of interesting sites which, if you haven’t used the service before, become more relevant to your tastes as time goes on if you use the thumbs up / thumbs down tool. 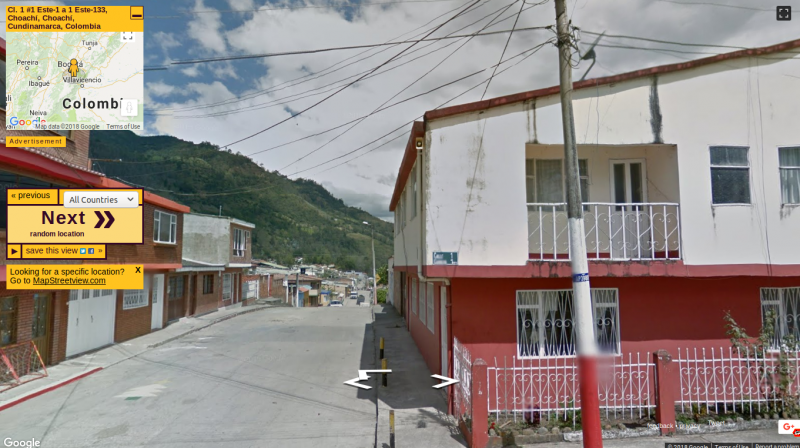 I came across this Random Street View site which I’ve a sneaking suspicion I’ve seen before. Not only is it a fascinating way to ‘visit’ lesser-known parts of the world, it also shows the scale of Google’s Street View programme. The teacher in me imagines using this as the starting point for some kind of project. It could be a writing prompt, you could use it to randomly find somewhere to do some research on, or it could even be an art project.